The Plantar Fascia is a connective tissue on the sole of the foot that provides stability for the foot and acts as a shock absorber during walking. 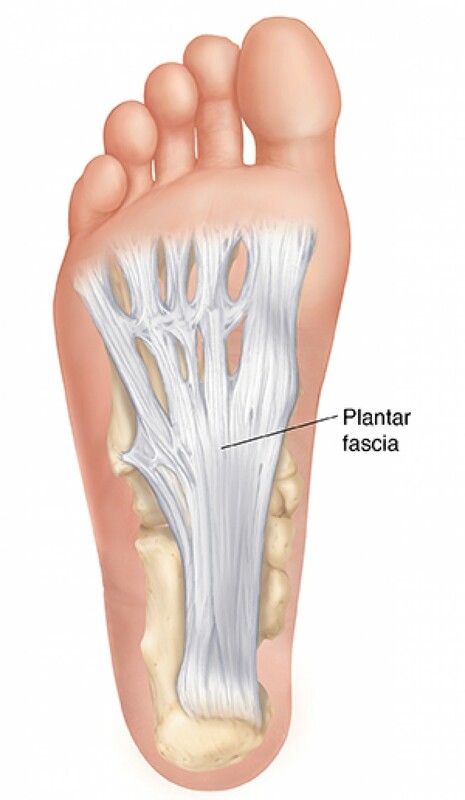 Plantar Fasciitis is a painful condition when this connective tissue becomes inflamed, causing pain in the heel with weight bearing, especially if barefoot and walking on hard flooring. Plantar Fasciitis is most commonly seen in runners and can be caused by ill fitting footware and excessive pronation of the feet when moving. People who have high or flat foot arches or have diabetes are also more prone to this type in injury. If left untreated Plantar Fasciitis can lead to lower leg and ankle problems. 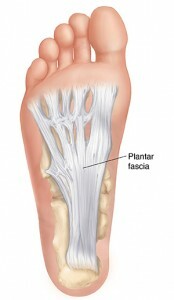 The good news is that Plantar Fasciitis is very treatable with self help techniques and treatment! A few self help methods include rolling a frozen water bottle on the sole of the foot while wearing socks and stretching the calf muscles and Plantar Fascia before and after exercise. This can be done by letting the heel gently drop off the back of a step. If you’re unable to relieve the pain with ice and stretching, the team at the Vale Practice are trained not only to provide treatment and give advice to help you manage at home, but are also trained to assess your gait and prescribe Orthotics to help support flattened or high arches and feet that over pronate when walking or running. For further information about our gait analysis and orthotics clinic, Click Here.